This is the second of four parts of a drawing resources guide I created as part of my postgraduate study. You can find the first part, which includes an introduction to what it's all about, here, and links to the others at the end of this post. Founded in the UK in 2000 under the name the Campaign for Drawing, The Big Draw is an arts education charity that promotes visual literacy and aims to get everyone drawing. It runs annual drawing festivals in more than 20 countries (taking up the month of October each year), with events at major venues such as the British Museum and the National Gallery of Australia, and locally organised activities and exhibitions. The Big Draw also organises research projects, campaigns, educational conferences and the annual John Ruskin drawing prize. Its patrons include Quentin Blake, Norman Foster and David Hockney. The centre, based at the University of the Arts, London, focuses on developing research, debate and support for members of the Camberwell, Chelsea and Wimbledon Graduate School, and has organised exhibitions and published books designed to enhance our understanding of drawing. 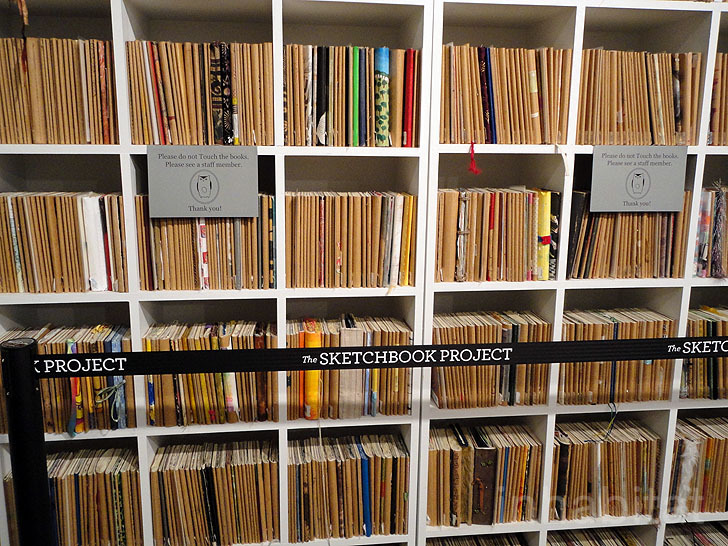 This global collaborative project, based in the USA, hosts a crowd-sourced library of 36,000 artists' books contributed by people from more than 135 countries. Participants buy a book, draw in it and post it back. 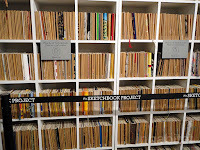 The books are digitised, tagged and made accessible at Brooklyn Art Library, and online under a Creative Commons BY-NC-SA licence. Image: Brooklyn Art Library. The UK's national collection of drawings is held at the British Museum, in the Department of Prints and Drawings. (While the National Gallery and Tate hold the nation's paintings, both also hold some drawings, particularly contemporary works at the Tate.) The British Museum holds around 50,000 drawings dating from the beginning of the 15th century until the present day. Old Master drawings, 80 portraits by Hans Holbein the Younger, important drawings by Michelangelo and Raphael, and 600 drawings by Leonardo da Vinci are just a few of the drawings in this collection. Specialist research visits to the Print Room are by appointment only, subject to security clearance. ArLIS is the professional organisation for people involved in providing library and information services and documenting resources in the visual arts. Its website includes an A-Z list of art libraries. While the Library's collection of drawings and prints became part of the British Museum's collection in 1808, it retains a collection that has been classified as "evidence" rather than art, on such subjects as topography, architecture, costume, science, natural history and garden design. Notebooks by Leonardo da Vinci, William Blake, Albrecht Dürer and Christopher Wren, as well as Persian, Chinese and Japanese drawings are in the Library's collection. 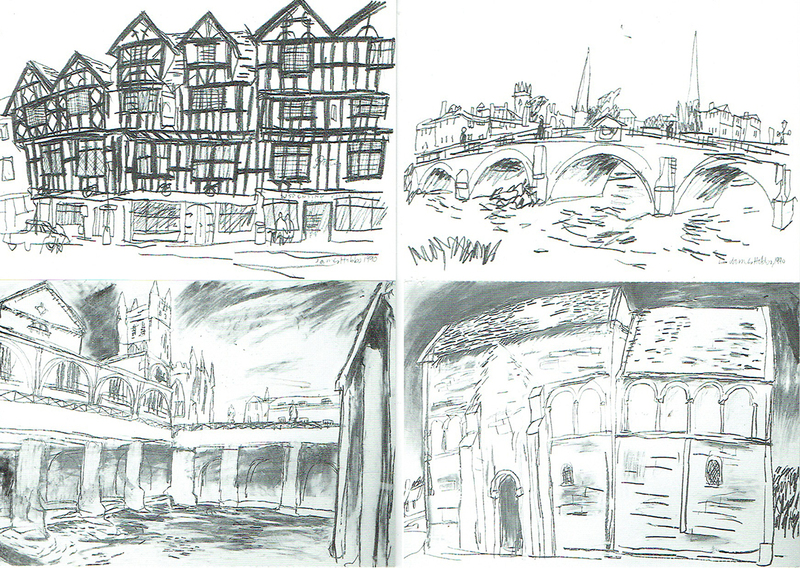 A selection of drawings have been digitised and are available online. The library at the Courtauld Institute of Art is a specialist library within the University of London that provides a service to its own students and staff, but also to visiting scholars and researchers whose research needs cannot be met elsewhere. The library, which is freely accessible to the public and located in the Victoria and Albert Museum, London, holds more than one million items, including many with particular interest to the fields of drawing, prints, and the art, craft and design of the book. Around 100,000 drawings made in Europe and the USA across a wide range of periods, schools and styles can be seen by registered users on request in the Prints and Drawings Study Room. The library also offers access to online databases and image resources only available while at the building. A rotating exhibition of drawings is displayed in Rooms 88a and 90 of the V&A. The library specialises in fine art, art history and theory, art techniques and human anatomy, and holds around 6,000 titles, 20 art journals, and more than 2,000 art-related pamphlets. A digital archive of its slide collection, which consists of more than 15,000 images, is available on the departmental server. Dedicated drawing exhibitions may take place at many types of venues, including the major national museums and galleries already listed, but there is also a growing number of centres that specialise in exhibiting drawn work. Located behind Highbury and Islington tube station, C4RD is a non-commercial curatorial space set up in 2004 that organises exhibitions, residencies and talks, and publishes books on drawing. The C4RD Community is an online register of artists with images, links and statements that reflect the broad scope of contemporary drawing. Programmes at C4RD include an online residency, and studio spaces for artists for whom drawing is a core part of their practice. Drawing Projects UK is a centre set up by the founder of the Jerwood Drawing Prize, Anita Taylor, to develop and promote research initiatives through exhibitions, events and workshops in drawing and contemporary art that is based in Trowbridge, Wiltshire. The centre has 12 studios and workspaces for artists, designers and makers, and offers mentoring and professional services for artists and curators. The Drawing Room is the only public and not-for-profit gallery in Europe dedicated to drawing, and promoting its practice, theory and methodology. Founded in 2002, its solo and group exhibition programme includes the Drawing Biennial, and embraces traditional and experimental approaches. Studio tours, discussion panels, workshops and artist-led projects encourage dialogue and critical debate and contribute to contemporary drawing scholarship. Its Outset Study library contains around 2,000 books and 70 journals on international contemporary drawing since the 1970s. The centre is part of an international network of initiatives that promote interchange between artists, curators, academics and the public. The centre, established in 2005, is a self-funded, non-profit educational organisation based in the Wiltshire countryside. Along with courses in drawing and printmaking, it runs events, exhibitions, artists' talks, a residency scheme and the annual Sketch prize and exhibition for artists' sketchbooks. The commercial Rabley Contemporary Gallery specialises in drawings, works on paper and prints by leading UK artists.